2010 FORD F-150 FX4- SUPER CAB - 6.5-FT BED - 4WD - GET A LOT OF LOOKS IN THIS TRUCK - GREAT SOUNDING AND DRIVING TRUCK - CALL OUR SALES STAFF TODAY @ 330-854-5380!! 2010 FORD F150 - FX4 - SUPER CAB - LEATHER - 4X4 - AFTERMARKET WHEELS & TIRES.....I have had the opportunity to drive this truck for a couple of days and really enjoyed it.....Motor has plenty of power, transmission shifted well and the suspension was tight.....Got a lot of looks as the truck is Sharp! 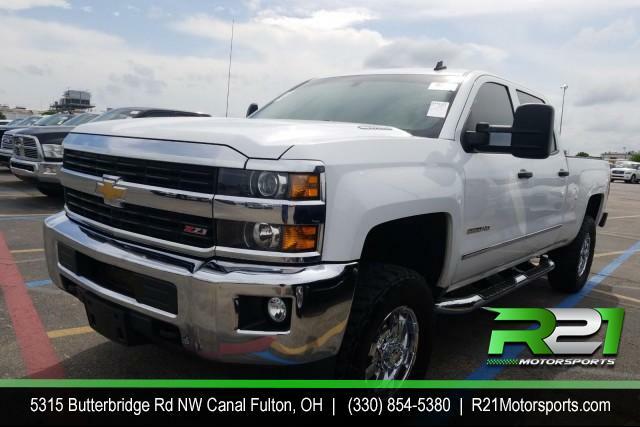 Good Miles, Good Tires, Fully Serviced and Ready for Sale.....Call One of Our Sales Associates Today @ 330-854-5380 ***Ask About Our Finance Program & Affordable Nationwide Warranties***INTERNET SALE PRICE IS DEALER FINANCE ONLY...CASH SALE PRICE IS $14,995. FX4- SUPER CAB - 6.5-FT BED - 4WD - GET A LOT OF LOOKS IN THIS TRUCK - GREAT SOUNDING AND DRIVING TRUCK - CALL OUR SALES STAFF TODAY @ 330-854-5380! !